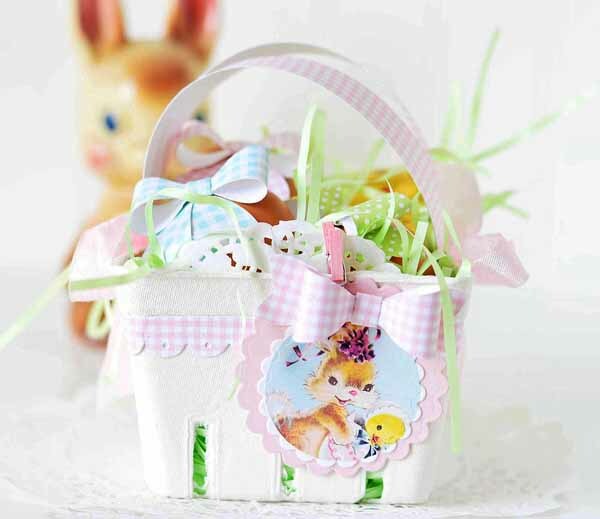 Baskets come from German folklore involving the Easter Hare, who would leave candies, colored eggs and other goodies for kids. Sound familiar? 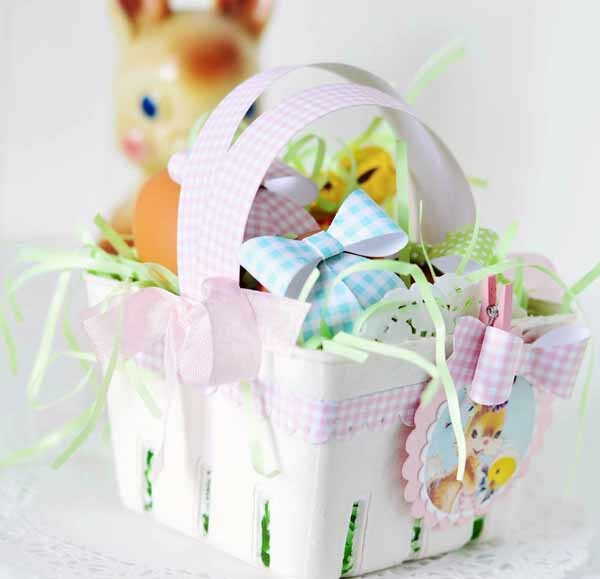 Not only do Easter baskets come in different shapes and sizes, but they're also made of different things, too! I used a white berry basket to make this one. I really like the look of the double handle. I wanted them to be at slightly different heights. That was easy to do by adhering them together and tilting the top one just a little bit. Then I just stapled them to the berry basket. 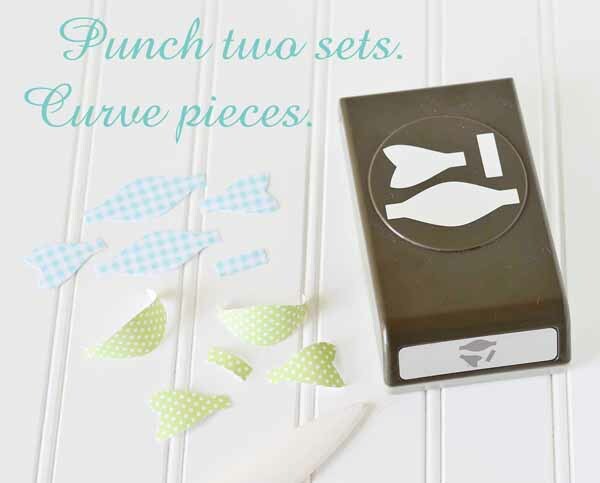 All the little bows are made with a bow builder punch. They are adorable and so fast! 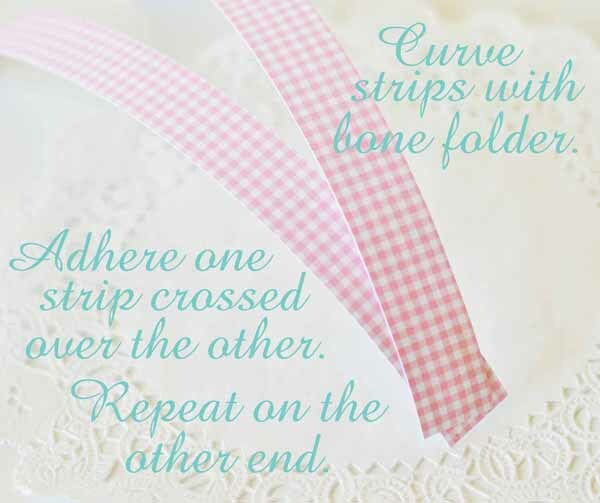 Curving the pieces with a bone folder really helps. 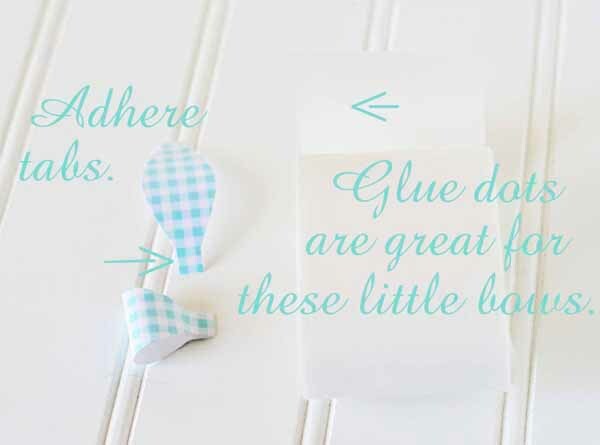 I use glue dots, but I also put a little dot of liquid glue, too, just for good measure! I've been buying organic free range eggs. I love the pretty brown color. They look so cute dressed with mini bows! 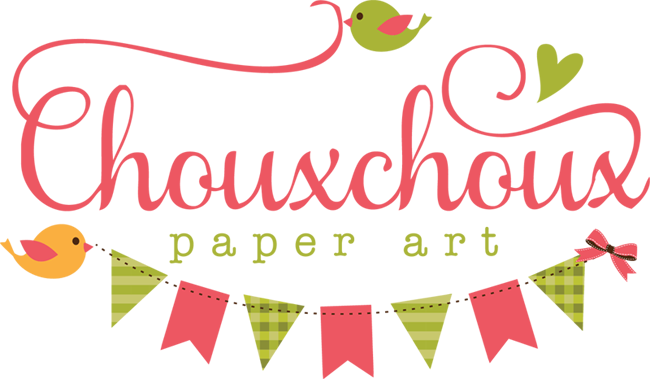 This is the image I used to create the scalloped circle. You can download the full image and the circle HERE. This is an adorable project Lori - so pretty. What a fantastic idea and so sweet and pretty! So cute! Love this! And thank you for the sweet bunny! 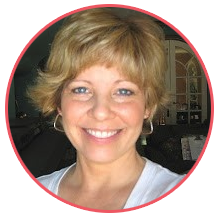 What a darling basket, Lori.... love the gingham!!! So pretty! 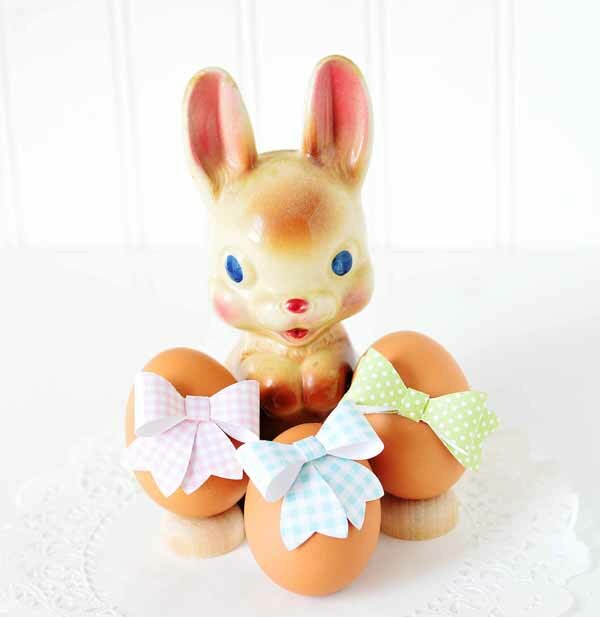 Your Easter box will make such a terrific piece on your breakfast table Lori and wow, I adore your altered eggs, the bows make such fab embellies! 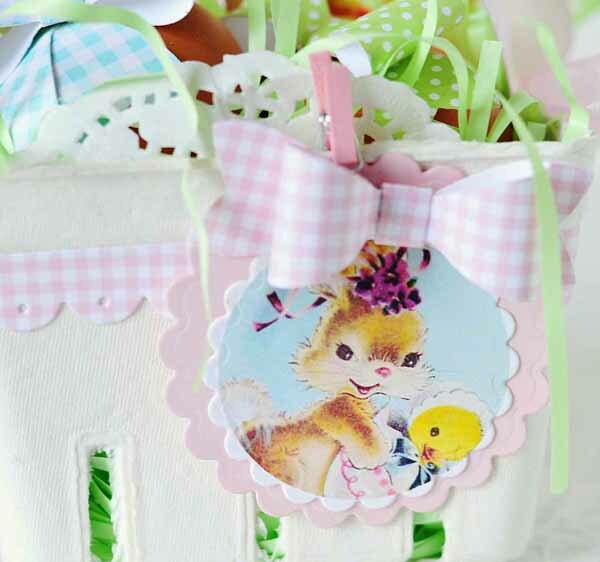 This is just the sweetest bunny basket ever!!!!! 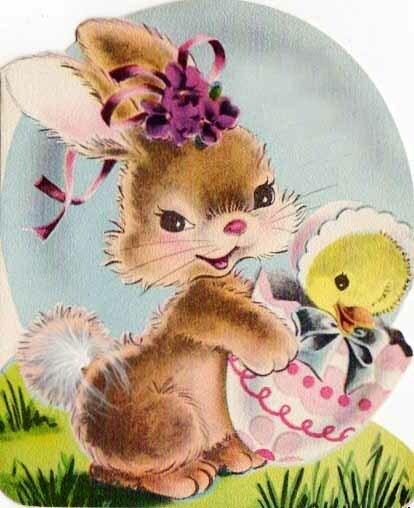 Makes me want to go make one :-) Happy Easter!! Stunning basket and love the papers - so sweet! St. Pat's Fun + Free Image + Who Won?